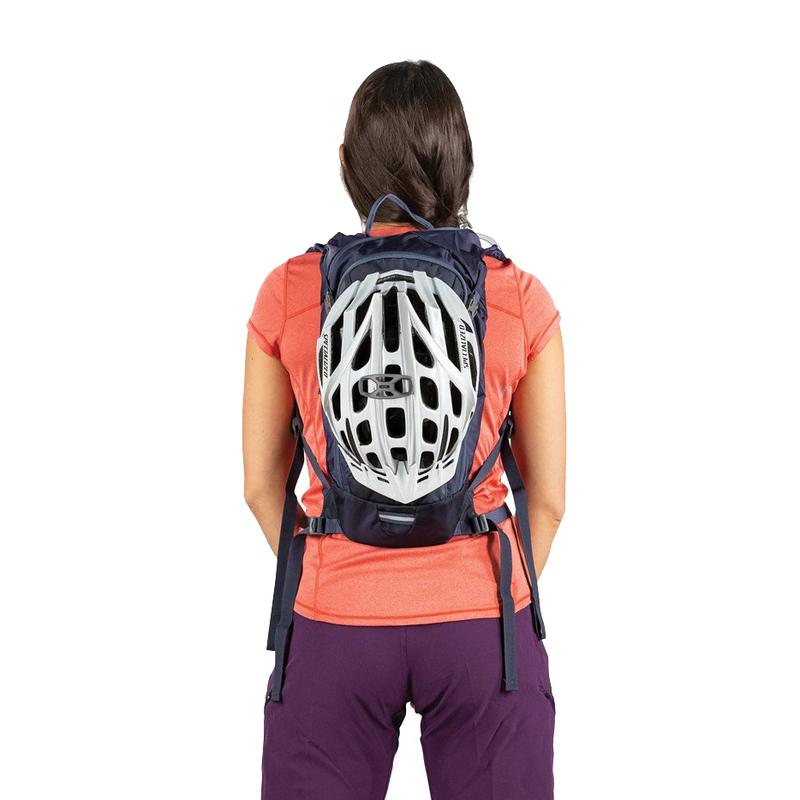 The Salida is a brand new do-it-all, jack-of-all-trades pack. 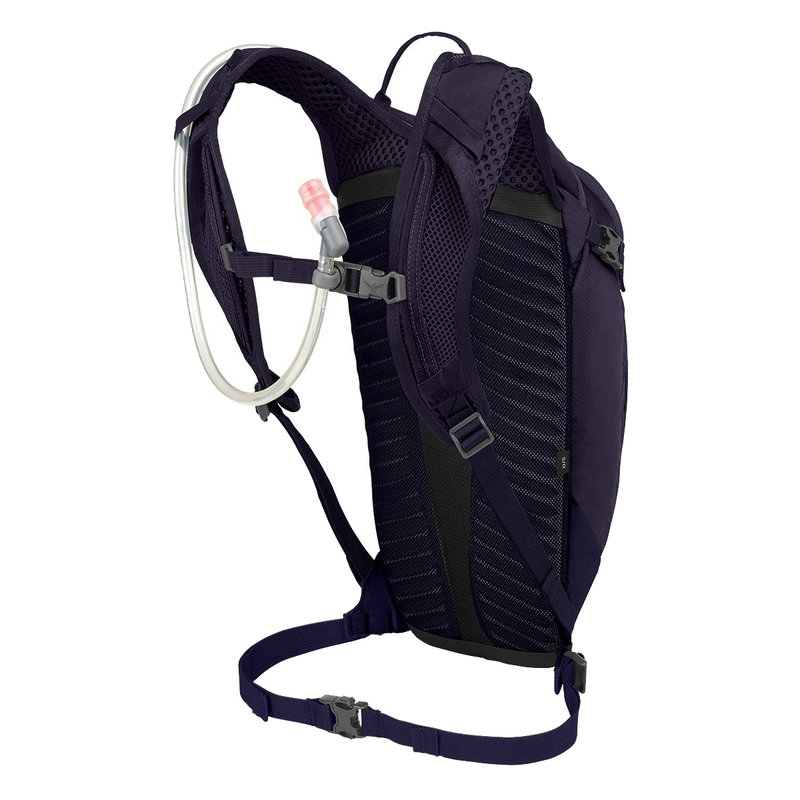 The Salida 8 comes with 8 liters of internal storage and a 2.5 liter reservoir. 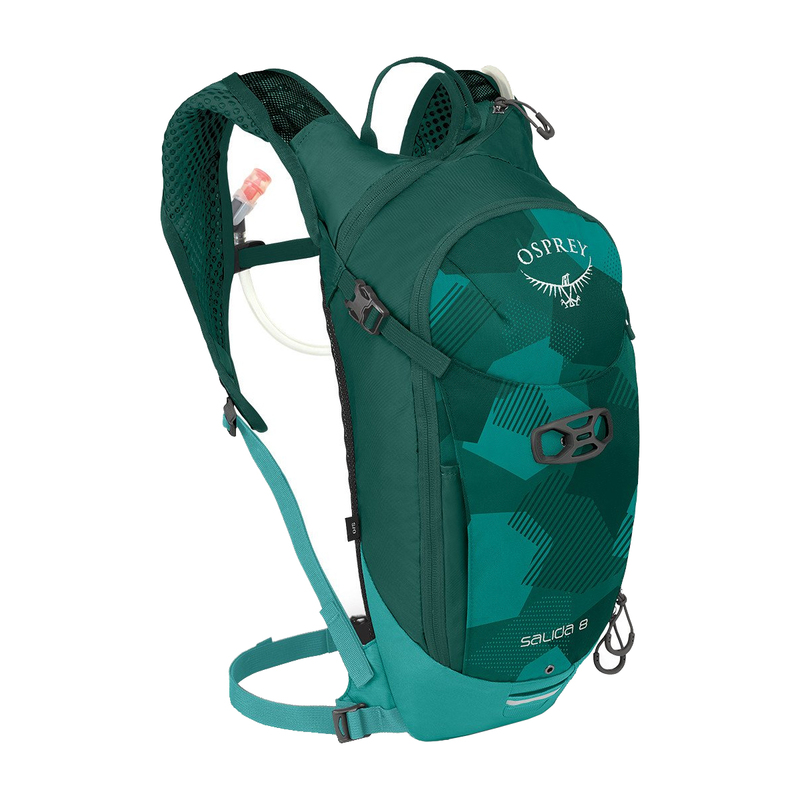 The pack features a full-length front access panel to expose the innards of the pack and a large quick stuff pouch on the outside of the pack. 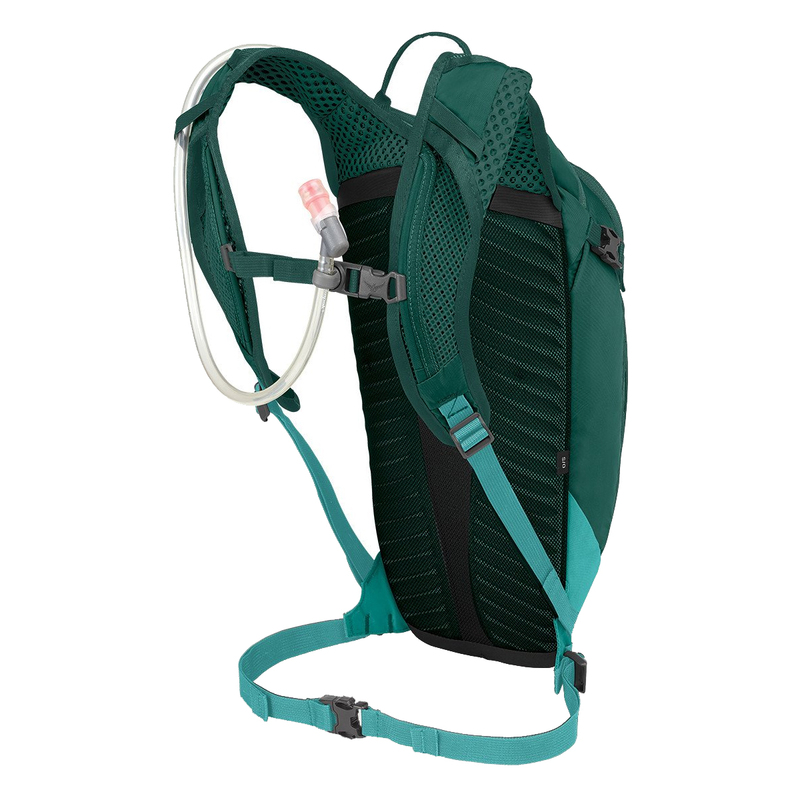 An AirScape backpanel offers max ventilation and stability while rolled, soft-edge shoulder straps offer a nice distribution of weight and a no-pinch design. 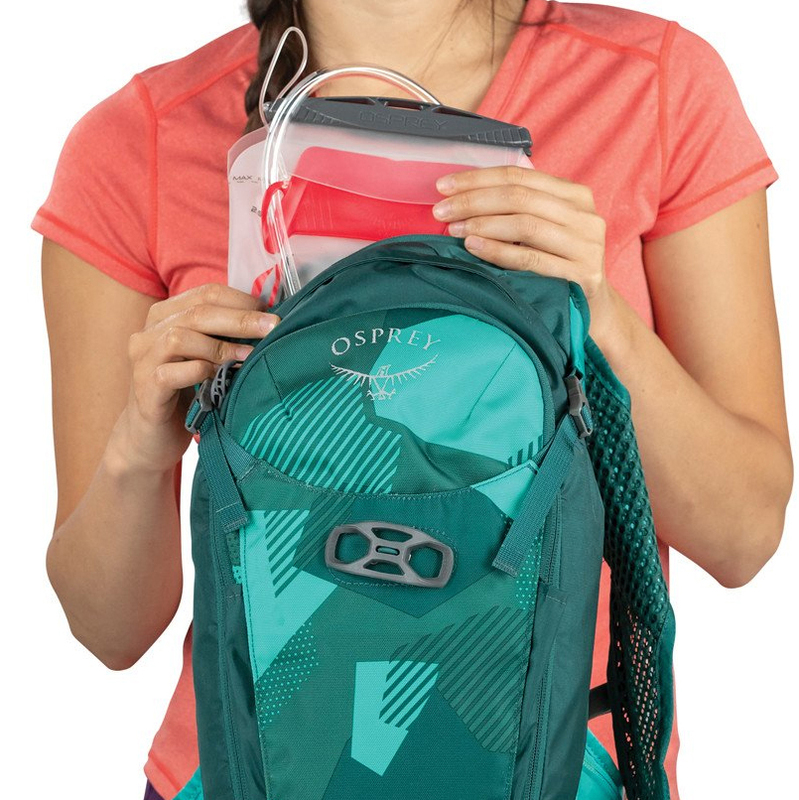 VARIABLE HELMET CARRY Includes Osprey's LidLock helmet carry for traditional helmets and front panel upper compression straps for full face helmets. RESERVOIR INCLUDED Osprey Hydraulics® LT 2.5L reservoir keeps you hydrated all day long and stores in a dedicated hydration compartment to protect pack contents from accidental spills. 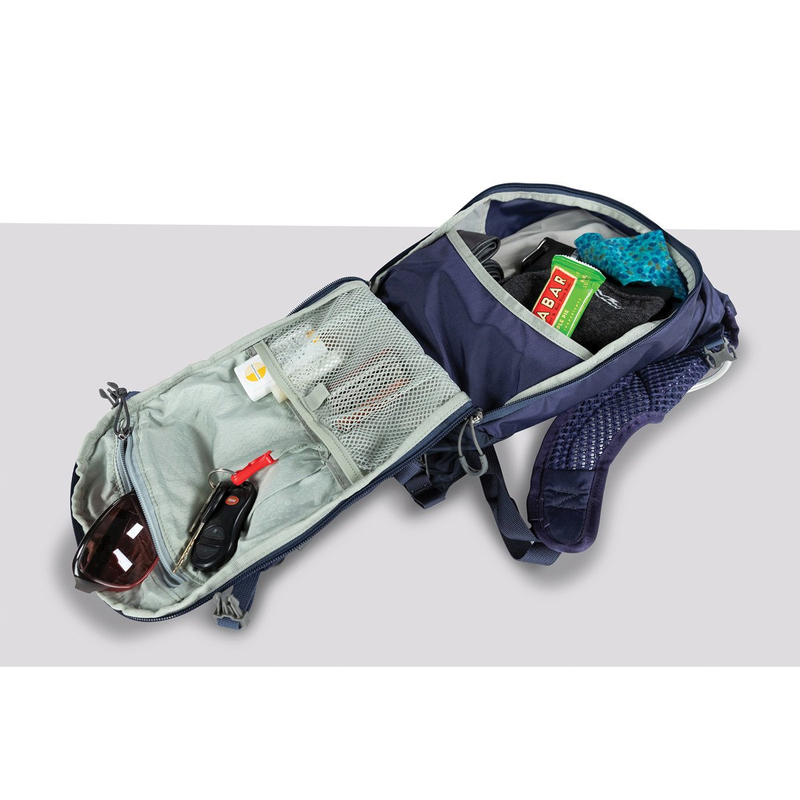 MOUNTAIN BIKE-FOCUSED FEATURES Multi-pocketed tool organization and large bucket main compartment stores and protects all your essential gear. RIDE STABILITY Our rolled, soft-edged harness contours to the upper shoulders to keep the pack close to your body and provide stability.